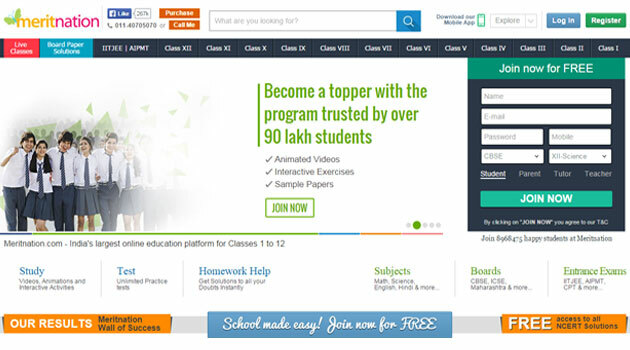 Info Edge (India) Ltd, which runs a slew of internet properties such as Naukri, 99acres, Jeevansathi and Shiksha, among others, has invested an Rs 25 crore ($4 million) more in Applect Learning Systems Pvt Ltd, which operates the online education and assessment venture Meritnation. The investment has been made through optionally convertible cumulative redeemable preference shares in Applect, Noida-based Info Edge said in a communication to the stock exchanges. Info Edge already held close to 56 per cent stake in Applect, which was started in 2008-09 by IIM Bangalore alumni Pavan Chauhan and Ritesh Hemrajani. Meritnation.com provides courseware to students from classes I to 12 in mathematics, science and English for CBSE, ICSE and other education boards. Its offerings also include development of courseware, assessment items, teaching pieces, simulations and conventional training materials. With the fresh investment, Info Edge's total exposure to Applect has risen to Rs 97 crore. It had previously put in around $14 million across five tranches according to VCCEdge, the data research platform of VCCircle. It had last invested in the firm in December 2013. Meritnation is one of around half a dozen startups including Zomato where Info Edge owns a majority stake or a significant minority stake having pumped in money over time. It doesn't run them directly, however. Meritnation's competitors include Tutorvista, iProf, Plancess and Koolkampus. Recently, the company launched Meritnation Junior, a new product that focuses on concept-based learning for students of class I to V. Also, it launched four offline centres in Jaipur. As per Ken Research, the Indian e-learning market is expected to grow at a compounded annual growth rate of 18 per cent over the next three years to $1.29 billion (Rs 7,869 crore) by fiscal 2018.